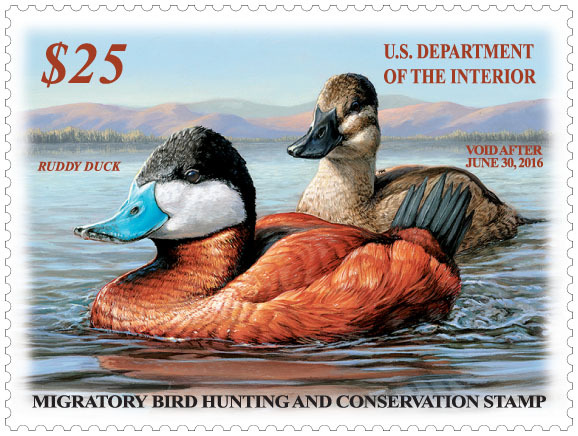 Any person who hunts ducks, geese, swans or brant, and is 16 or older, must carry a current Duck Stamp — or Migratory Bird Hunting and Conservation Stamp — but that’s not the only reason to buy a stamp. For only $25 you can help secure vital breeding, stopover, and wintering habitats for waterfowl and other bird species across the National Wildlife Refuge System. Almost all the revenue from Stamp sales, potentially up to $40 million in the coming year, will go directly to the Migratory Bird Conservation Fund. Buy a Duck Stamp now!